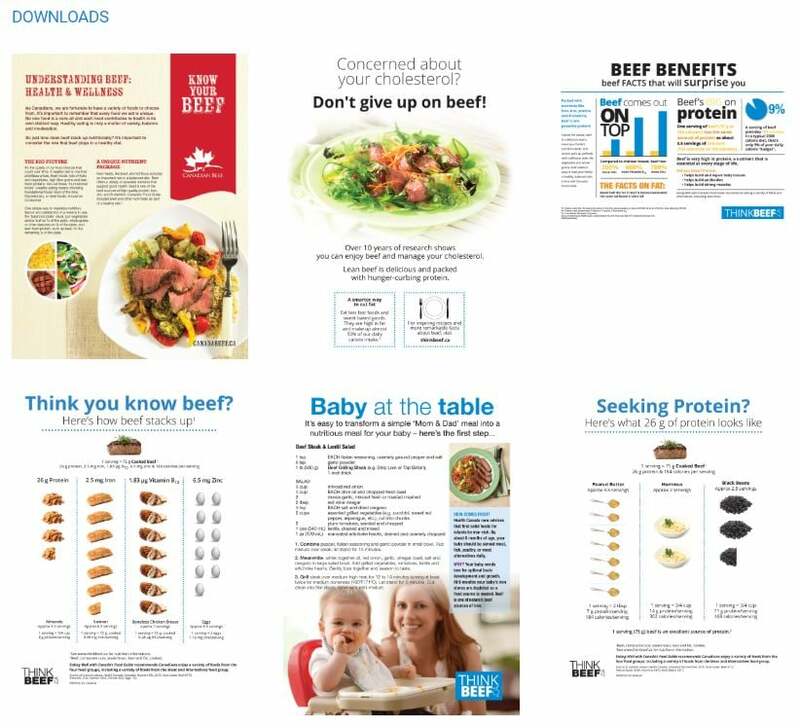 ThinkBeef.ca, funded through Canada’s beef import levy, has a variety of beef-positive resources available to consumers, retailers, foodservice operators and everyone in between. These resources are focused on keeping beef on the plate of Canadian consumers by promoting the healthfulness of beef, growing consumer culinary skills, and reinforcing food safety practices. They include how-to culinary videos, recipes, factsheets and infographics, ebooks and more. Printed copies of the eBooks are also available for distribution. Visit the ThinkBeef site or click any of the resources below to check them out.